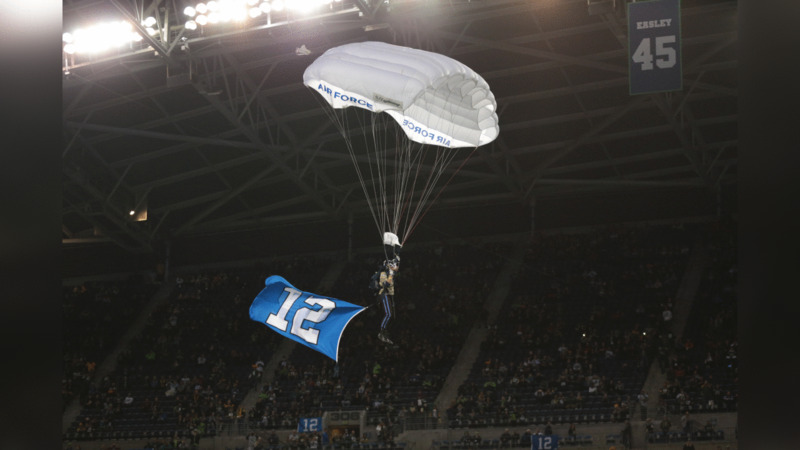 The Seahawks began Week 11 with an important victory over the Packers. That is for certain. What’s not decided is your Week 11 Fantasy Football result. Most Fantasy players make the mistake of getting too high or low off Thursday results. Wins and losses are not decided in the first game of the week, there is still a full slate of Sunday games and a Monday night contest that have not been factored in yet. The Thursday results simply mean that a few stats come in earlier than the rest. There is no reason to get too comfortable with an early lead or deficit. You have several other players that can pick up the slack on a Sunday or players on your opponent’s squad who may not perform as expected. The Seahawks shut down exciting Green Bay rookie Marques-Valdes Scantling, and if you started him, that does not mean you are anywhere close to losing your game yet. On the other side of the example, Ben Roethlisberger had a 35 to 40-plus point game last week on Thursday depending on your scoring system, and I witnessed instances where his Fantasy owners still lost. A Fantasy week does not consist of one game, so keep a level outlook. Alex Collins vs. CIN: The former Seahawk has been a viable flex play because of his six TD runs, but he has yet to rush for 70 yards in a game this year. With the QB situation uncertain for the Ravens this week, Baltimore may choose to lean on the running game more, especially against a Bengals defense that allows 26.32 Fantasy Points Per Game to Running Backs, the second-highest total on NFL.com. Collins is a determined runner with good burst and is not afraid to get physical, and he could outperform expectations with some more work this week. Mark Ingram vs. PHI: The Saints’ No. 2 RB in Fantasy production and usage by New Orleans, Ingram’s output has fluctuated this year. Last week, though he registered a season-high 104 yards on 13 carries. Alvin Kamara is clearly the lead guy in the New Orleans backfield, but Ingram can be useful as a flex play. The Eagles allow 4.7 yards per carry, so Ingram can make the most of every touch again this week. Jalen Richard vs. ARI: He is more of a PPR play, as when the Raiders get behind, which is frequently, Richard will get more reps and can give you between nine and 11 points in that scoring system. The Cardinals allow 25.72 FFPG to RBs, the third-highest total on NFL.com. Those numbers may come less via the rush this week, but Richard is a decent play if you need a fill-in for adequate production. Dion Lewis vs. IND: He has re-emerged as a strong RB2/flex play recently in PPR formats, with two 100-yard games from scrimmage in his past three. The Colts have yielded 51 receptions for 571 yards to running backs, both of which are the third-highest totals in the AFC. Lewis is the most reliable player on a Titans offense that has started to show more signs of life recently. Golden Tate vs. NO: He was not involved much in the offensive flow in his debut as an Eagle, but that is not surprising for a player in his first game with a new team. The Eagles acquired Tate recently as they are trying to stay in the NFC playoff race and he can be a key chain-mover for them. Philadelphia desperately needs a win this week and the Saints allow 34.36 FFPG to WRs, the highest total on NFL.com. Play him in PPR leagues with confidence. Amari Cooper vs. ATL: He has quickly fit in well with his new tea, as he also had the benefit of arriving during a bye week. Cooper has balanced the Dallas offense out, as he has forced defenses to not sell out against the run, while helping Dak Prescott operate a more respectable passing game. Cooper is a must-start against the Falcons. Larry Fitzgerald vs. OAK: There has been much talk about the re-emergence of David Johnson in Arizona recently, but Fitzgerald has started to come on as well, as he now appears to be healthy again and Is more involved under new offensive coordinator Byron Leftwich. He has 18 receptions in his last three games with two TDs, and the Raiders have allowed 12 TD receptions to WRs this season. Donte Moncrief vs. PIT: Fantasy players seem to avoid the Jaguars pass-catchers as a general rule, but if you have a bye week or injury-related need to fill, Moncrief is the one guy to consider. Moncrief has four double figure PPR performances in his past six games. The Jaguars no longer have the look of a shutdown defense, and those just don’t seem to exist in the league anymore these days. If Pittsburgh imposes its offensive will on the Jaguars, Jacksonville may need to throw to keep up, and that means a productive day for Moncrief. Evan Engram vs. TB: The Giants offense mainly runs through Odell Beckham Jr. and Saquon Barkley, with some Sterling Shepard mixed in. Engram has not been the consistent Fantasy force he was in his rookie season, but he still can be considered when the matchup is right. Tampa Bay allows 11.12 FFPG to tight ends, the second-highest total on NFL.com. Vance McDonald vs. Jax: He has not been dependable, but McDonald has been impressive at times. But outside of three top-level guys, finding a consistent Fantasy TE is as challenging as trying to get a ticket to a Seahawks home game. The Jaguars have allowed six TD catches to TEs, the third-highest total in the league. Russell Wilson has not thrown for less than two TD passes in any game this season, and has went over 19 Fantasy Points in six of his last seven games on NFL.com. He remains a strong top-end streamer and should get strong starting consideration in upcoming matchups with the Panthers and 49ers. Doug Baldwin was targeted a season-high 10 times against the Packers and caught his first TD pass of the season. As the final weeks of the Fantasy regular season set in, Baldwin is climbing back into Fantasy WR3 territory. Tyler Lockett made some key plays in the win, and his regular TD promise keeps him in the regular WR3 mix. Another bye week is ahead, so keep David Moore rostered for a possible Fantasy start in Week 12. Chris Carson provided a solid Fantasy performance in his return, and was a fine fill-in RB2 in Week 11 and deserves flex consideration for Week 12. Rashaad Penny was a top waiver add in Fantasy leagues this week and spurred some excitement again. He has the potential to contribute even more during the Fantasy playoffs. For more Week 11 advice and tips from Scott Engel and the RotoExperts team, get the Xclusive Edge Fantasy Football Package on RotoExperts.com. Use promocode “seahawks” at checkout for a special discount.